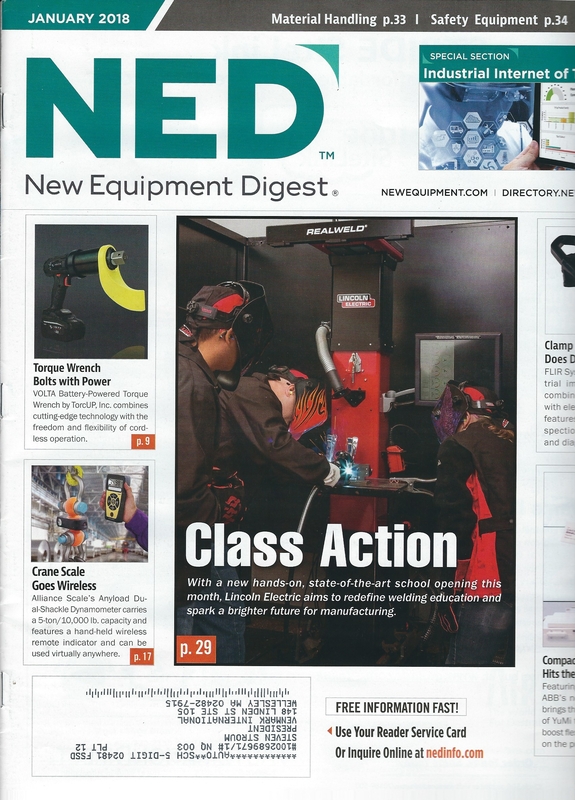 A funny thing happened the other day after walking into my regularly scheduled meeting with Ray Secour at Alliance Scale, Inc. and showing him the January 2018 cover of “New Equipment Digest” featuring publicity we created for a wireless crane scale that he distributes. I love showing clients this kind of valuable exposure! Just as he reviewed the article “Crane Scale Goes Wireless,” and placed the magazine on his desk, he received a telephone call from a prospective customer. The person on the other end of the phone was inquiring about the exact product and also had the current issue of NED in front of him! Long story short, Ray answered his prospect’s questions, using the actual photograph in the article to elaborate and sold the product, including accessories. Then Ray turned to me and said, “the caller did everything but mention your name!” It was an awesome experience because just a few months earlier I had conducted the interview with Ray to learn about the product before creating the image and writing the story that ultimately landed it on the front cover of this leading industrial publication. Having been working for Ray consistently since 1996, I know that product publicity leads to sales for Alliance Scale, Inc. Why else would we be working together for 22 years? But, when I witnessed his sales call directly it really, really felt great.